I can’t even begin to say how exciting this is. For the first time in at least a year I see Singapore Airlines first class award availability between the US and Asia on the ANA tool. Now in fairness there have been other opportunities to snag first class space, but not through most programs. Lufthansa, for example, has a special relationship with Singapore Airlines, and somehow Continental seems to have access to some availability, even when nothing shows on the ANA tool (I’m not sure if they’re doing manual sells or what). But now I’m seeing space on SQ11/12 (the Los Angeles to Singapore via Tokyo Narita flight). The bad news is that it’s only short notice. I’m not seeing any space more than four days before departure, but hell, with Singapore Airlines I’ll take what I can get. Given that they haven’t released any space between the US and Asia to all Star Alliance partners in first class in a long time, this is huge progress. Now here’s to hoping we see a bit of availability further out! Even more exciting is that they’re not just releasing the space on the through flight (Los Angeles to Singapore) as they did in the past, but they’re also releasing space on the individual segments. So the award space is also showing up when only searching for a Los Angeles to Tokyo flight as well as just searching a Tokyo to Singapore flight. Also, I’m noticing that ANA seems to be opening up some first class award space really close to departure as well. We’re talking 2-5 days before departure. But I do see the odd first class seat between most of their US gateways and Tokyo Narita on several days. I might have some time for a quick trip in a few weeks, in which case I might just plan something with only a couple of days advance notice. 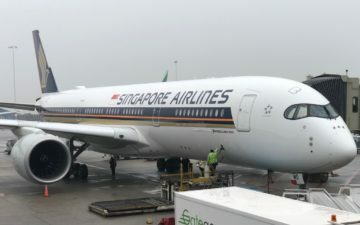 The opportunity to fly Singapore Airlines in first class again and to finally try ANA first class is too much to pass up. Might even try to squeeze in Asiana first class. I have redeemed three F awards on SQ last year using my Virgin Atlantic miles between LAX and NRT on the 747. AT 130,000 miles RT it wasnt too bad. If I remember right the taxes and fees were about 200 pounds. 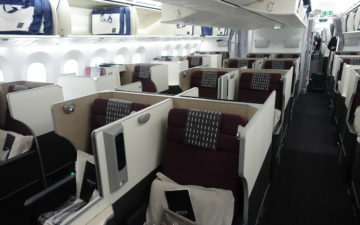 Did Asiana F in January LAX – ICN. 744. Wonderful! I keep reading about people having trouble using UA M+ points to get free premium tickets (F, C/J) on SQ. To be honest, I have not had any issues with this in either F or C/J — within Asia/Pacific (e.g. SIN::NRT) or even trans-Pacific (e.g. SIN::SFO). I wonder what I’m doing “right” or what other folks are doing “wrong. I also wonder about the completeness of the ANA tool, since at least once I used UA points to get a free SFO::SIN R/T on SQ at a time when the ANA tool did not show availability. Maybe I got lucky and had a really competent UA agent ? She did put me on hold for a while to try to find out about availability on the days I wanted, but I have no idea what she might have been doing behind the scenes. Anyway, I’ve not been having problems and I’m not a GS.